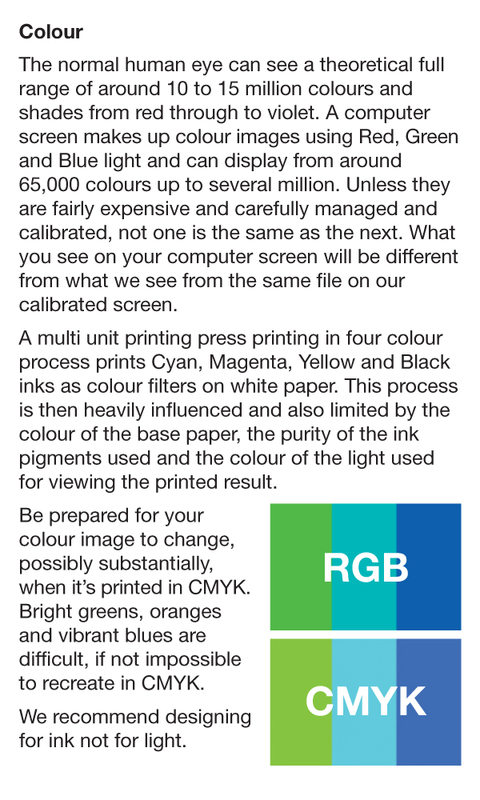 Salisbury Printing is renowned for its fantastic service, friendly staff, excellent advice and quality printing. To discuss your requirements, we can visit you, or you can come to us – whichever suits you better. Alternatively, call us on 01722 413330 or click here to email us with any questions you may have or orders you wish to place. If there is any terminology that you do not understand, or would just like someone to tell you what needs to be done to get your design and printing working for you, then please call us – we can help with any aspect of the printing process. 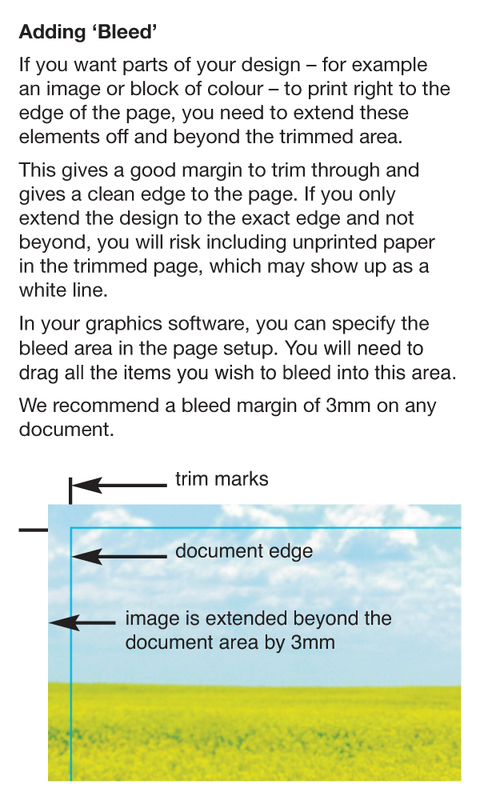 • Supplied artwork should be in pdf format, with trim marks and 3mm bleed where necessary. • We can also work with eps, tif and jpg files – please call and discuss with us. • Please do ask us for advice. We are friendly, personable and really happy to help. Our knowledge is second to none. • We are located in Greencroft Street, Salisbury SP1 1JF. The nearest car park is in Salt Lane. please call ahead to check that someone is available. you as soon as possible. If you have any questions or would like to talk through your requirements with a friendly member of our staff, then call us on 01722 413330.